seemingly haphazard manner. I retired in 1988, and by 1994, I had made numerous trips aboard, volunteered at several Detroit area hospitals, tutored students in the 'Let's Read Program and established a program to train young people how to fill out job applications. I also spent hours playing the organ, listening to jazz, playing with my grandchildren, catching up on reading, and writing short stories for my own pleasure. In short, I was bored, bored, bored! One day I noticed an article in the Detroit News describing a senior citizen's program at U of M Dearborn. For $50 dollars a semester, a senior could take 12 credit hours in any subjects they chose. I immediately signed up for Creative Writing. I was delighted when the Lyceum Literary and Fine Arts Journal accepted two of my essays for the fall 1994 and winter 1995 issues. 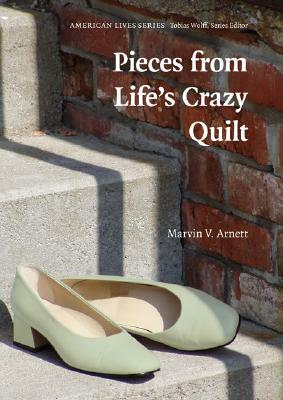 One of the essays, 'The Good Reverend,' became Chapter 5 of Pieces from Life's Crazy Quilt. The class instructor suggested that I combine the several essays I had written about my childhood, add to them and publish them as a book. The idea fired my imagination, and I set to work. And that is how Pieces from Life's Crazy Quilt was born. It was not an easy task. Over the next two years, I stopped and restarted the process too many times to count. Efforts to shop the completed product resulted in over 97 rejections from literary agents. In the end, perseverance won out. The University of Nebraska Press is scheduled to release a hardcover version of Pieces from Life's Crazy Quilt in April 2003.